I am very pleased to join the exciting and challenging world of plant pathology. 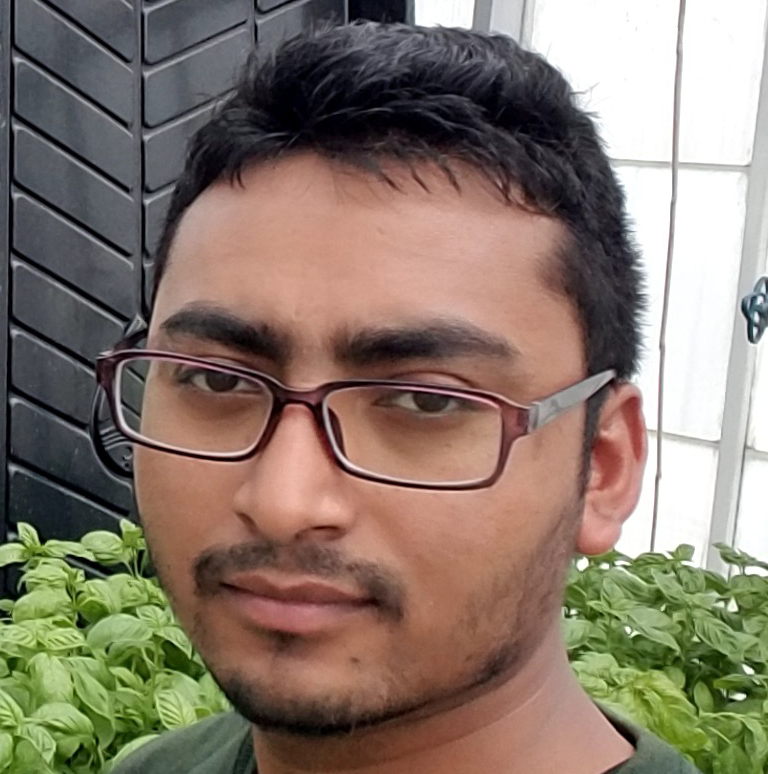 I am currently overseeing the Hausbeck Lab vegetable field research, as well as participating in grant and report writing, and preparing presentations. My focus is mainly bacterial diseases of tomato and onion with some carrot, celery, cucurbit and hop diseases thrown in for good measure. Hausbeck, M.K., Brisco-McCann, E.I., Goldenhar, K.E., and Cook, A.J. 2017. Evaluation of fungicide programs for control of downy mildew of cucumber, 2016. Plant Disease Management Reports 11:V063. Hausbeck, M.K., Donne, I.M., and Brisco-McCann, E. 2017. Evaluation of in-furrow and foliar fungicide programs for control of foliar blights of carrot, 2016. Plant Disease Management Reports 11:V036. Hausbeck, M.K., Brisco-McCann, E.I., and Cook, A. 2017. Evaluation of fungicides for control of foliar diseases of onion, 2016. Plant Disease Management Reports 11:V037. Grode, A., Wiriyajitsomboon, P., Brisco-McCann, E., Hausbeck, M.K., and Szendrei, Z. 2017. The link: Assessing the relationship between onion thrips and bacterial leaf blight. Onion World 33(1):28-30. Brisco-McCann, B., and Hausbeck, M.K. 2016. Celery pathology update. Pages 2-5 in: Celery Session Summaries, Great Lakes Fruit, Vegetable and Farm Market Expo, Grand Rapids, MI, Dec.
Brisco-McCann, B., Wiriyajitsomboon, P., and Hausbeck, M.K. 2016. 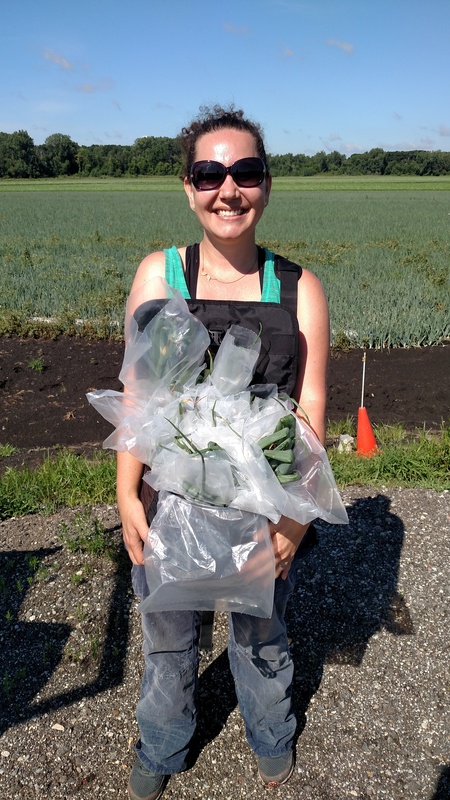 Investigating onion diseases: New and old. Pages 2-5 in: Onion Session Summaries, Great Lakes Fruit, Vegetable and Farm Market Expo, Grand Rapids, MI, Dec.
Brisco, E.I., Porch, T.G., Cregan, P.B., and Kelly, J.D. 2014. Quantitative trait loci associated with resistance to Empoasca in common bean. Crop Science. 54(6): 2509-2519. Brisco, E.I., Porch, T.G., and Kelly, J.D. 2011. Comparison of choice vs. no-choice tests of a dry bean IBL population for resistance to potato leafhopper. Annual Report of the Bean Improvement Cooperative 54:88-89. Brisco, E.I., Porch, T.G., and Kelly, J.D. 2010. Phenotypic evaluation of a dry bean RIL population for resistance to potato leafhopper. Annual Report of the Bean Improvement Cooperative 53:84-85. Brisco, E.I., and Kelly, J.D. 2009. Evaluation of elite dry bean germplasm for resistance to potato leafhopper, Empoasca fabae, in Michigan. Annual Report of the Bean Improvement Cooperative 52:140-141. Current project: Botrytis disease of ornamentals.